Again, there's no reason for me to editorialize. The article speaks for itself. 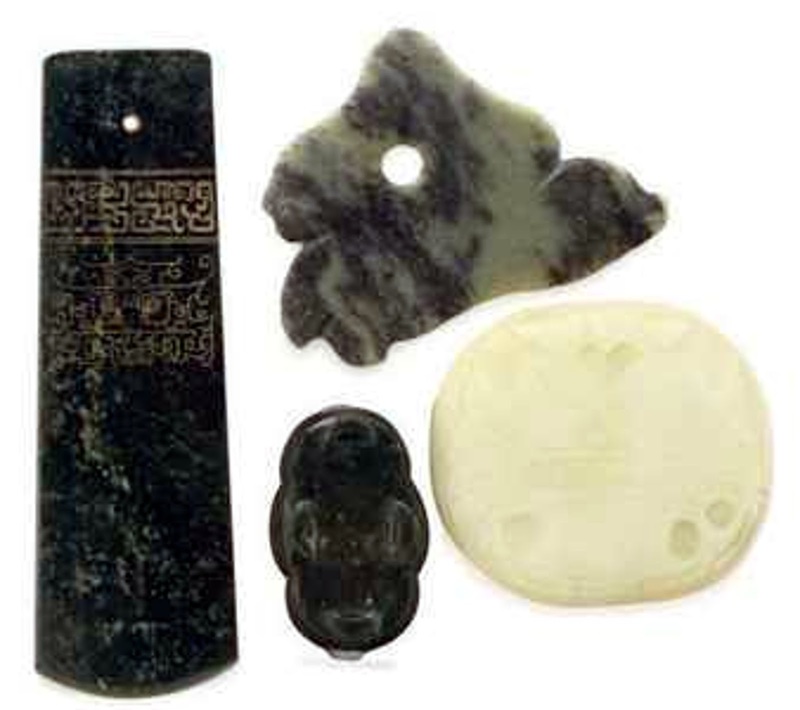 While I couldn't find any images of the actual artifacts involved, I included some of similar objects, just to help you get an idea of what is being talked about. CAMBRIDGE, Mass. -- Researchers have uncovered strong evidence that the ancient Chinese used diamonds to grind and polish ceremonial stone burial axes as long as 6,000 years ago - and incredibly, did so with a level of skill difficult to achieve even with modern polishing techniques. The finding, reported in the February issue of the journal Archaeometry, places this earliest known use of diamond worldwide thousands of years earlier than the gem is known to have been used elsewhere. The work also represents the only known prehistoric use of sapphire: The stone worked into polished axes by China's Liangzhu and Sanxingcun cultures around 4000 to 2500 BC has as its most abundant element the mineral corundum, known as ruby in its red form and sapphire in all other colors. Most other known prehistoric artifacts were fashioned from rocks and minerals no harder than quartz. "The physics of polishing is poorly understood; it's really more an art than a science," says author Peter J. Lu, a graduate student in physics at Harvard University's Graduate School of Arts and Sciences. "Still, it's absolutely remarkable that with the best polishing technologies available today, we couldn't achieve a surface as flat and smooth as was produced 5,000 years ago." 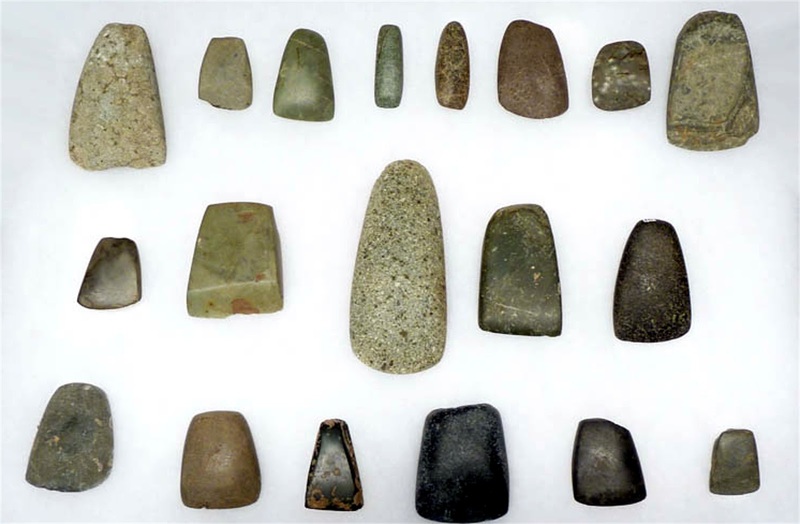 Lu's work may eventually yield new insights into the origins of ancient China's trademark Neolithic artifacts, vast quantities of finely polished jade objects. Lu began the research in 1999, as a Princeton University undergraduate. He studied four ceremonial axes, ranging in size from 13 to 22 centimeters, found at the tombs of wealthy individuals. Three of these axes, dating to the Sanxingcun culture of 4000 to 3800 BC and the later Liangzhu culture, came from the Nanjing Museum in China; the fourth, discovered at a Liangzhu culture site at Zhejiang Yuhang Wujiabu in 1993, dates roughly to 2500 BC. "What's most amazing about these mottled brown and grey stones is that they have been polished to a mirror-like luster," Lu says. "It had been assumed that quartz was used to grind the stones, but it struck me as unlikely that such a fine finish could be the product of polishing with quartz sand." Lu's subsequent X-ray diffraction, electron microprobe analysis, and scanning electron microscopy of the four axes' compositions gave more evidence that quartz could not have polished the stones: Fully 40 percent corundum, the second-hardest material on earth, the only material that could plausibly have been used to finish them so finely was diamond. To further test whether diamond might have been used to polish the axes, Lu subjected samples of the fourth axe, 4,500 years old and from the Liangzhu culture, to modern machine polishing with diamond, alumina, and a quartz-based silica abrasive. Using an atomic force microscope to examine the polished surfaces on a nanometer scale, he determined that the axe's original, exceptionally smooth surface most closely resembled -– although was still superior to -– modern polishing with diamond. The use of diamond by Liangzhu craftsmen is geologically plausible, as diamond sources exist within 150 miles of where the burial axes studied by Lu were found. These ancient workers might have sorted diamonds from gravel using an age-old technique where wet diamond-bearing gravels are run over a greased surface such as a fatty animal hide; only the diamonds adhere to the grease. The next known use of diamond occurred around 500 BC; it was used after 250 BC in ancient India to drill beads. The earliest authors to reference what is likely diamond, Manilius and Pliny the Elder, lived in Rome during the first century AD.